Why opt for dog sitting in your home? WHY CHOOSE DOG SITTING IN YOUR HOME? Why choose pet sitting in your home? Why choose dog sitting in your home? The advantage of this dog sitting option is that it allows your pet to stay in its enviroment and reduces separation anxiety . If your dog dislikes having his routine disrupted, opt for dog sitting in your home. What types of dogs are best suited to dog sitting in your home? Each animal has its own character which will help you choose the dog sitting service best suited to its needs . Some pet owners have several dogs or many different kinds of animals. As a result it would be more complicated to organise pet sitting in the pet sitter’s home, where there won’t necessarily be the space to accommodate all your animals. So it makes more sense for owners with several animals to opt for pet sitting in their own home. As they get older, some dogs become creatures of habit and it’s important for them to stick to their regular routine. Moreover it’s not unusual for older dogs to suffer from arthritis or joint problems. If this is the case it would be better for the dog to stay at home as it may be necessary to climb stairs to get to the dog sitter’s home, something which would be tiring for your pet. Just as some dogs hate being separated from their owners, others really struggle with a change of environment. For example if you live in a house, your will find it difficult to stay in a flat without a garden. In this situation it would be better to opt for dog sitting in your own home. 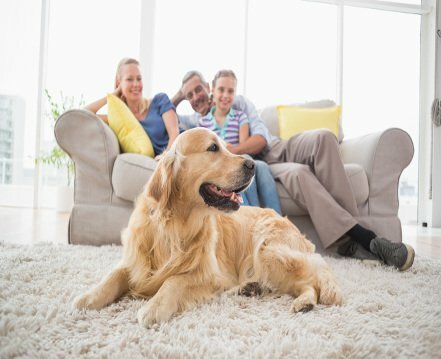 When you choose dog sitting in your own home you can benefit from various advantages depending on your situation. If you live in a popular area, the dog sitter gets the opportunity to stay in your home and benefit from a change of scene. On the other hand if the sitter themselves has a pet and you agree, your dog has the chance to meet a new playmate. If you meet for the first time in your home, your dog will be more comfortable than in the sitter’s home. Another, not insignificant, advantage of this option is the amount of time the sitter spends in your home. When you’re on holiday or away from home you naturally worry about the possibility of burglary or damage due to weather etc. With a pet sitter staying in your home, you can leave, reassured that someone is not only looking after your pet, but also keeping an eye on your property.